It’s almost that time again! 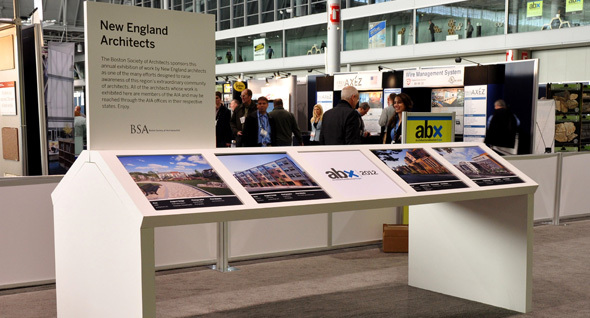 Registration for the 2013 ArchitectureBoston Expo (ABX) is now open! Join the Studio G team at one of the largest events for the design and construction industry in the country, and the largest regional conference and tradeshow in New England. “Drawing 95% of its attendance from New England, ABX’s regional reach is its greatest strength. Attendees hold on to their money (no airline fees, hotel costs or meal expenses) and spend their time building relationships and networks around physical proximity and the likelihood of follow-up work. The building industry varies dramatically from region-to-region due to issues of climate, geography, politics and economics. ABX and the Boston Society of Architects help build long-term relationships around these shared experiences and challenges.